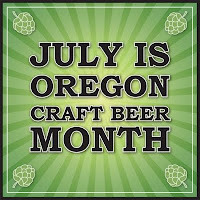 When I read the article of #31beers for Oregon Craft Beer Month (OCBM) on the Portland Mercury I decided right away to jump on the bandwagon. A chance to have 31 unique beers from 31 unique breweries, how could I say no? I then decided to take it to the next level and visit 31 breweries in Oregon. Thus creating a #31breweries challenge. 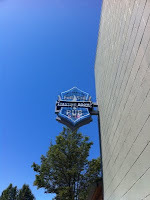 July was started with a road trip to Bend, OR to tackle the Bend Ale Trail. Excited this was an opportunity to go see Bend, and visit it’s growing craft beer scene. Eight breweries in two days was a good kick starter for OCBM. This trip is a blog post in of it self and will be saved for another time. I will say the real stand outs in Bend were Boneyard, Deschutes and Three Creeks in Sisters, OR. Upon returning to Portland it became a challenge of finding time to hit as many breweries as I could in the month. On great help towards this cause was an opportunity to tour with Portland based Brewvana Tours. This was an excellent addition to OCBM and a real treat. The best part of the tour? Three breweries I had not crossed off the list yet. Laurelwood, Coalition, and Broadway Brewing. After a while it seemed like it was time for yet another road trip. So the family and I packed up and headed to Hood River for the day. Lunch at Double Mountain and a quick stop at Full Sail for a bottle grab. Double Mountain really blew me away. I can’t wait to go back. We also hit Walking Man in Stevenson, Wa. Sadly enough being a Washington brewery I couldn't add it to the count. After two road trips and brewery hopping around PDX I found myself with just one more place I needed to make my #31breweries. I could have gone anywhere around town, but wanted to save it for somewhere I had never been before and had been really wanting to visit. Soon I found myself at Seven Brides Brewing in Silverton, OR. I’ll say this, Seven Brides did not disappoint. Excellent food, service and some good beers on hand. I see myself heading back there in the near future. Reflecting back on July I’m really glad to have done #31breweries. It was a great to tour parts of Oregon and finally experience some fine craft beers straight from the source. I wonder how I can top it next year. For a complete list of #31beers and #31breweries just click here.